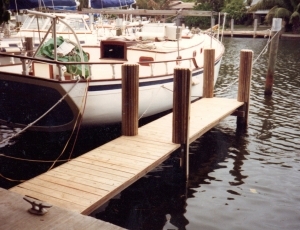 A & B Dock & Deck Marine Contractor offers a wide range of marine construction services. 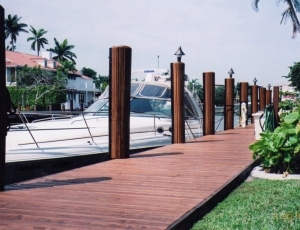 We specialize in custom dock and pier design and construction, using a wide array of of dock and pier systems, including vinyl, concrete, composite, custom wood ipe, and abaco. 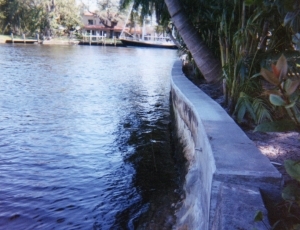 We can also repair or update your existing dock or pier. We specialize in custom deck design and construction, using a wide array of of deck systems, including vinyl, concrete, composite, custom wood ipe, and abaco. 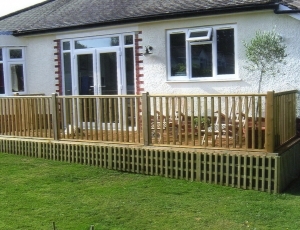 We can also repair or update your existing deck. 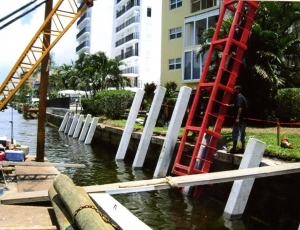 As a leading pile driving contractor in South Florida, we provides piling services for public and private sector clients. We have the ability to drive H-pile, pipe pile, pre-stressed concrete pile, timber pile, mono tube pile and sheet pile. 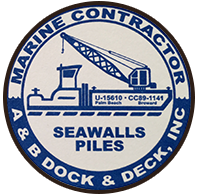 A & B Dock & Seawall Marine Contractor is a one-stop shop for your marina project. We take care of permitting, design fire lines, everything you need.